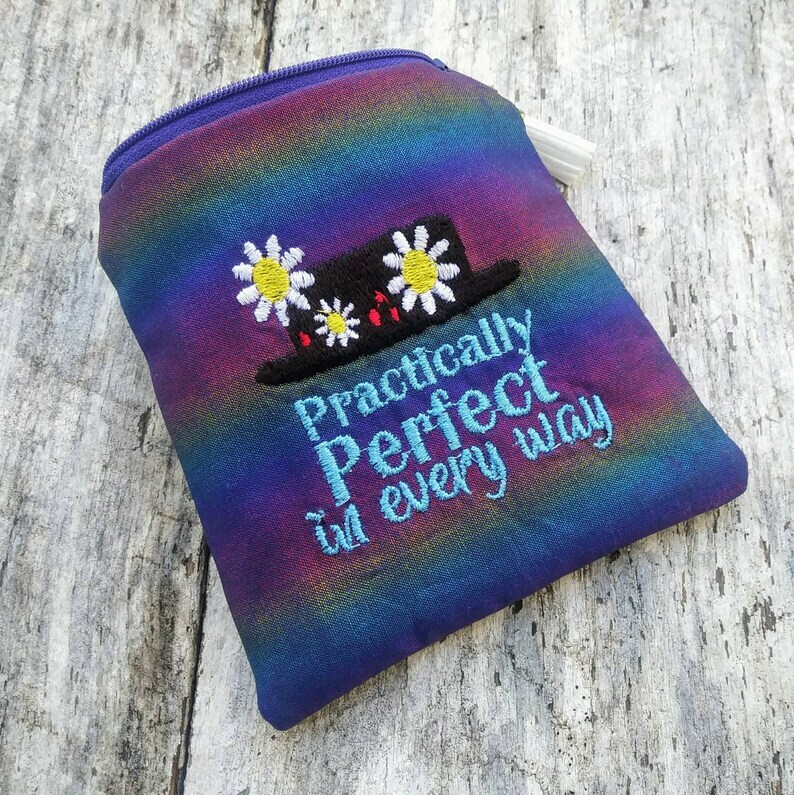 One special nanny may be synonymous with the phrase embroidered on this pouch but that doesn't mean that she can lay claim to being the only one who is "practically perfect in every way"! If this describes you our a loved one, this pouch is practically perfect for you! The outside of these pouches features an embroidered hat and phrase on a shiny rainbow iridescent fabric. The insides of the pouches are lined with a cream and metallic gold dot cotton print. Please note, the lining print may change according to availability but will always be complimentary and adorable! A hidden layer of flannel between the fabrics gives the pouch a little extra body and a nice squishiness. Each pouch measures approximately 5"x5" inches. A faux leather tassel is attached to the zipper. Thanks for looking and have a supercalifragilisticexpialidocious day!